The Boat for Summer Sales Event is going on now. Get a $2,000 gift card and $400 in gear—FREE!—with your purchase of a new 2019 or prior model year 334 CC Sportfish Edition. Hurry! This offer is only available for a limited time. See dealer for details. 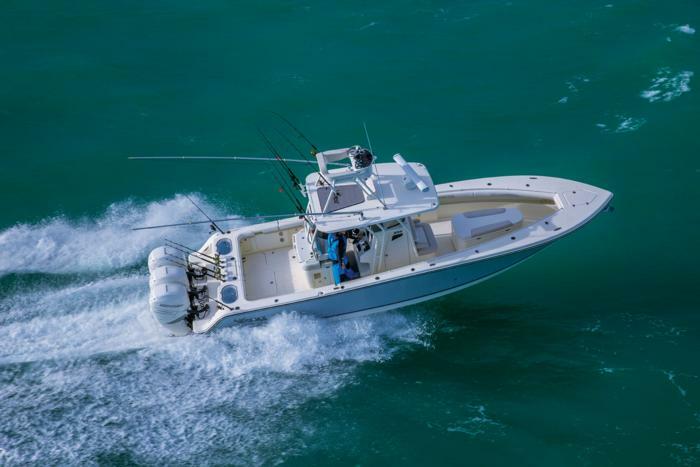 Sportfish Edition: Fully rigged for the most arduous offshore challenges, the MAKO 334 CC Sportfish Edition was developed with the cooperation of some of Florida’s leading guides, including George Poveromo. 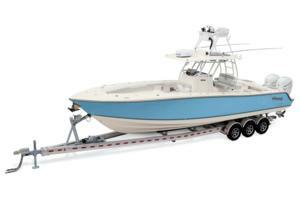 It features a huge open bow, with a 292-qt. coffin box that lifts on hydraulics to reveal storage beneath. 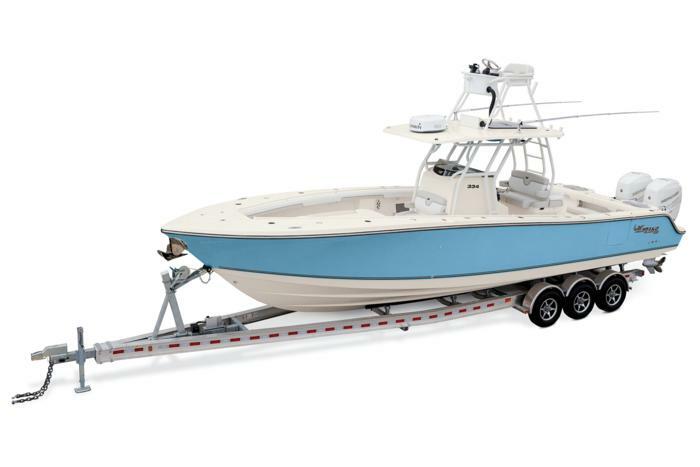 The hardtop is crowned with an upper helm station with Mercury® VesselView®, and it’s flanked with premium outriggers. Also available in Standard and Bluewater Family Edition.